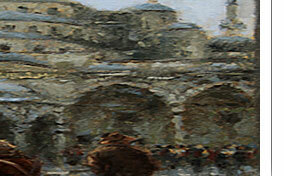 "The man who has honesty, integrity, the love of inquiry, the desire to see beyond, is ready to appreciate good art." Wesley Drake was born in Buffalo, New York in 1970 and, from a young age, moved frequently to different cities due to his fathers work; which seems to be the root of the strong sense of wanderlust that he possesses today. 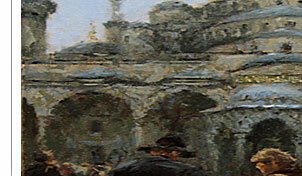 His travels have taken him to China, Argentina, Italy, France, Seychelles, Puerto Rico, Thailand, Mexico, Costa Rica, Japan and more, supplying an endless source of subject matter for painting. 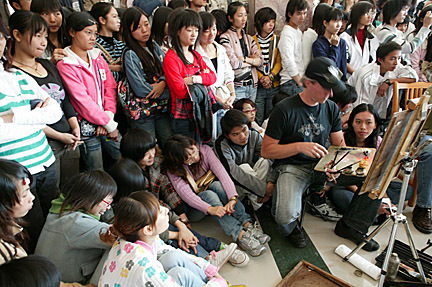 Travel opens the door to discovering different cultures, architecture, culinary experiences and ways of life that I cant help but want to translate onto canvas, Wes says. While acquiring his Bachelor of Fine Arts degree, with honors, Wes Drake solidified his artistic foundations and discipline in traditional painting methods. Upon moving to Chicago, he discovered the 100-year old Palette and Chisel Academy of Fine Art to be a great place to continue honing his skills with the community of artists found there. Today, Wes lives in Chicago--which happens to be a great hub for international travel--with his wife Leesa, 2 cats, their dog, Mikey, Oliver the Russian red-footed tortoise and most recently, a boy named Adam. They love to travel frequently, run marathons (both have completed the Ironman triathlon, and have run marathons on 3 continents together) and take on any new adventure thrown their way. 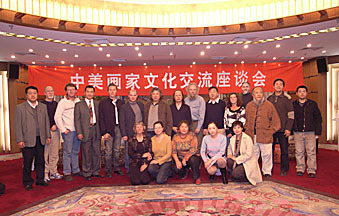 In the Fall of 2006 Wesley James Drake went on a 3-week painting trip in China with a select group of artists organized by Zhiwei Tu that included Neil Patterson, Scott Tallman Powers, Ken Cadwallader, Clayton Beck III, Diane Hynes and Dudley Dana and Candace Crosby of the Dana Gallery. 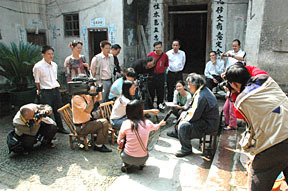 Zhiwei Tu being interviewed by newspaper and television crews. 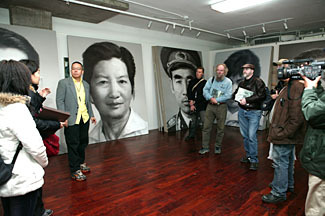 Wesley presenting the painting of the "Yao Man" to the Shaoguan Museum curators. 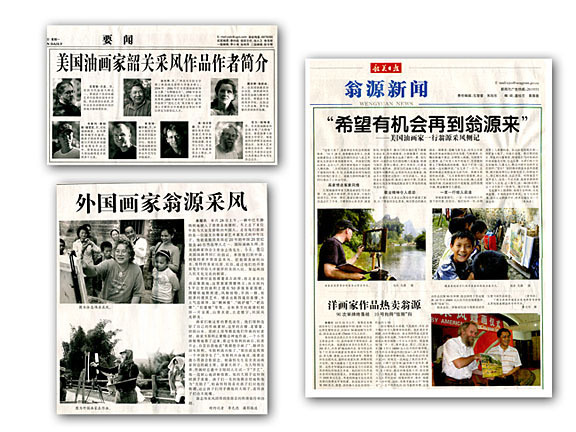 Newspaper articles about our group, the "American Oil Painters", in China. 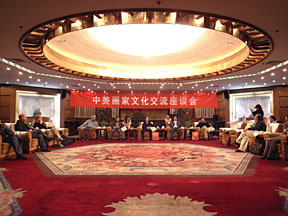 traditional Chinese painting and Western art. 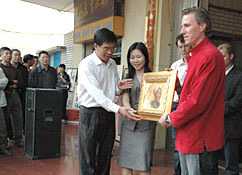 The auction held at Weng Yuen was quite a success with nearly all the paintings selling.